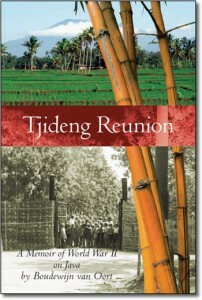 Apartheid and other issues related to racial problems form key topic in the Book Tjideng Reunion. We, Europeans, became the unexpected victims of such policies which was a totally unforeseen consequence of the outbreak of WWII. 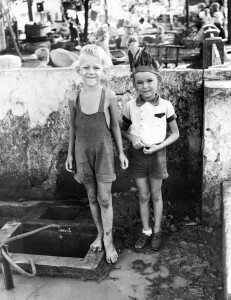 Chapter 1 is set in prewar South Africa, when the word “Apartheid” was only discussed in academic circles pre-occupied with the social concern arising in a multicultural society, consisting of two sets of conservative people: a white minority enjoying the benefits of “cheap labour” and a Bantu or coloured social substrata, largely tribal in its attitudes but forming a majority of he population. The term Apartheid had no currency, but “race” was prominent, however it was used to distinguish the Afrikaans from the English “race”. The practice of racial segregation as a policy existed, but applied mainly to land ownership and access to urban areas (shops etc). There were plenty of “whites only signs”, but few questioned the morality of these signs. The situation elsewhere in Africa and Asia , not to forget North America, was hardly different. Chapter 1 of the book dwells on this doomed society. The Japanese conquest of much of South East Asia did two things: it demonstrated that the notion of white racial superiority rang hollow and that Asians, given a chance by locking up the whites, could keep the wheels of industry turning. With the growing class of literate Bantus , along with trade unionism, pressures were building up in South Africa for dismantling the existing restrictions. The white South African political scene had always been rent in two . One half was pro-commonwealth and the other half wished to undo the effects of the Boer war and create an Afrikaner paradise. Now a new conflict became prominent, between those who were in favour of measured reduction of racial segregation, and those who favoured a hard line, relying on the ideas of the Apartheid social theorists. The 1948 election brought the hard liners to power, but it took some years for the full force of the subsequent racial struggle to catch world-wide attention. Curiously it was the Sharpeville massacre that started to focus worldwide attention on South Africa, curious because “Sharpeville itself was arguably the result of an enlightened government policy to provide the black labouring masses with simple but quality housing and to replace the notorious “locations” or shanty towns, slums of depravity, and then a blight on each and every city. Ironically, the design of Sharpeville , precursor of the much larger Soweto, had been my father’s assignment shortly before our departure (Chapter 14). Quite bizarrely the political change that took place in South Africa with the election in 1948 bringing into power the so-called “Apartheid regime”, ignored totally the experience in the Netherlands East Indies. The racist policies that immediately were implemented had nothing to do with genes, but everything with language and cultural background: the Afrikaans “race” was in and English “race” was out. However it did not take long before rigid classification by ethnic or genetic origin was introduced- almost a perfect copy of the pendafteran we had been confronted with in the occupied Netherlands East Indies (Chapter 4). For my parents and their good friends who had made the journey to the east and had returned to South Africa, history seemed doomed to repeat itself as described in Chapter 14. The steps they took to salvage what they could of their prospects for the future was extraordinary.